A prosecutor told jurors in opening statements Monday that a Miami-area neighbourhood watch volunteer fatally shot a black teenager "because he wanted to," not because he had to, while the defendant's attorney said the shooting was carried out in self-defence. The opposing attorneys squared off on the first day of testimony in a trial that has attracted international attention and prompted nationwide debates about gun control, race, and equal justice under the law. Included among the millions likely to be following the case are civil rights leaders Jesse Jackson Jr. and the Rev. Al Sharpton, who joined national protests in the weeks before prosecutors filed second-degree murder charges against George Zimmerman 44 days after the shooting of 17-year-old Trayvon Martin. Zimmerman, 29, who identifies himself as Hispanic, has denied that the shooting had anything to do with race. His mother was born in Peru. His father is a white American. Martin was black. "There are two important facts in this case: No. 1: George Zimmerman was a grown man with a gun, and No. 2: Trayvon Martin was a minor who had no blood on his hands. Literally no blood on his hands.... We believe that the evidence is overwhelming to hold George Zimmerman accountable for killing Trayvon Martin." Prosecutor John Guy's first words to jurors recounted what Zimmerman told a police dispatcher in a call shortly before the fatal confrontation with Martin: "F--king punks. These assholes. They always get away." Zimmerman was profiling Martin as he followed him through the gated community where Zimmerman lived and Martin was visiting, Guy said. He said Zimmerman viewed the teen "as someone about to a commit a crime in his neighbourhood." Defence attorney Don West told jurors a different story: Zimmerman was being viciously attacked when he shot Martin, he said. He was sucker-punched by Martin, who then pounded Zimmerman's head into the concrete sidewalk. "He had just taken tremendous blows to his face, tremendous blows to his head," said West, after showing jurors photos taken by Zimmerman's neighbours of a bloodied and bruised neighbourhood watch volunteer. Later, West said it was not true that Martin was unarmed. "Trayvon Martin armed himself with a concrete sidewalk and used it to smash George Zimmerman's head," West said. Martin had opportunities to go home after Zimmerman followed him and then lost track of him, West said, but instead the teen confronted the neighbourhood watch volunteer. 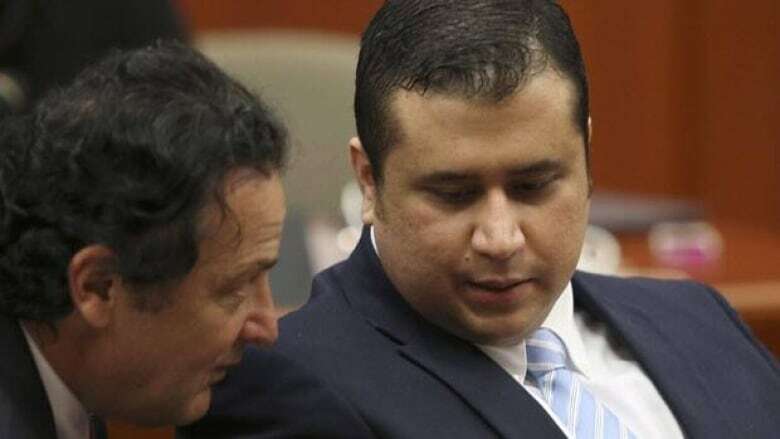 The prosecutor described Zimmerman as someone who wanted to be a police officer, and he dismantled the story Zimmerman has told investigators about what happened during the fight between the neighbourhood watch volunteer and the Miami-area teen that left Martin dead from a bullet to his chest. Zimmerman's claim that Martin had his hands over the neighbourhood watch volunteer's mouth is false since none of Zimmerman's DNA was found on Martin's body, Guy said. The prosecutor also said Zimmerman's claim that he had to fire because Martin was reaching for his firearm is false since none of Martin's DNA was on the gun or holster. Zimmerman is pleading not guilty to second-degree murder, claiming self-defence. If he is convicted, he faces a maximum sentence of life in prison.